In addition to his playing experience, Igor holds UEFA A License and coached for 2 years while playing for Villarrubia CF in Spain, training youth teams in the sporting Academy of the club (U10 and U12). 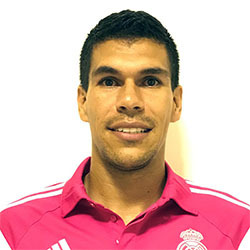 Igor Ferreira holds dual Brazilian and Spanish nationality due to the time that he spent playing football in Spain. This is something he has in common with some of Real Madrid’s Brazilian Star players such as Roberto Carlos, Marcelo & Ronaldo (the Brazilian one). Upon his retirement from professional football in 2015 Igor joined the Real Madrid Foundation Football School in Singapore, bringing with him a wealth of international footballing experience.